A public site spesific sculpture in Folkets Park in Malmö which shape resemble the blown out hole in the hull of the ship Amalthea after the young socialist Anton Nilsson attached a bomb to its loading hatch in Malmö harbour in 1908. The ship was housing English strikebreakers and the bomb was meant to scare them off, but ended up being fatal accidentally killing one man and injuring twentythree. Soon after the incident Anton Nilsson was arrested, convitced and sentenced to death, the last man in Sweden to ever recieve the death penalty. However, he was later pardoned and the penalty reduced to ten years of prison labour, and in 1917 he was released as the first decision made by the new social democratic government. The piece serves as a monument of a violent part of the Swedish labour movement's history and its struggles crystallized through an incident usually referred to only in anecdotes, but which can be seen as marking a turning point in the establishment of social democracy in Sweden. 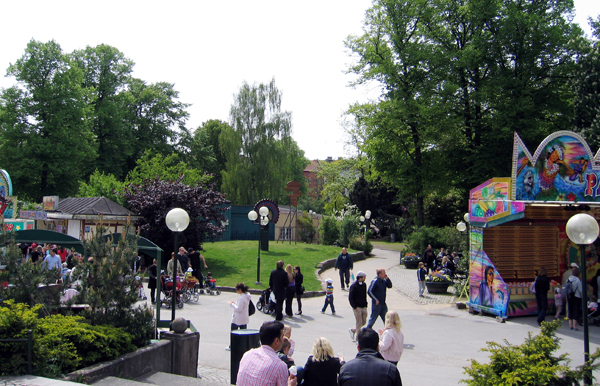 Folkets Park was originally built on an idealistic initiativ by the labour movement in the late 1800s. Today, the park holds a mixture of activities, among others a fun fair, a concert scene and several restaurants and clubs. 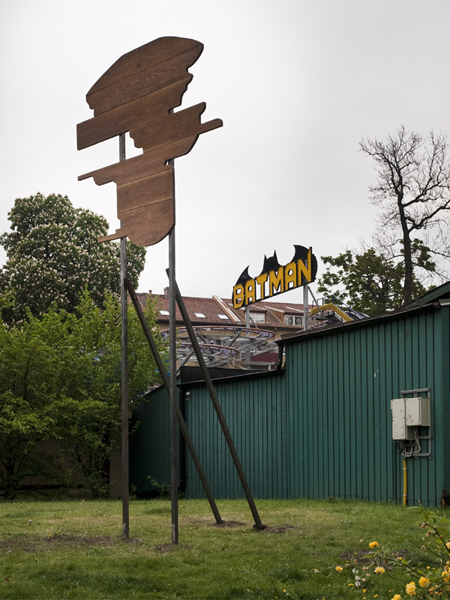 The sculpture is placed on a piece of grass behind Far i Hatten in the middle of the park as this restaurant and dance hall, over one hundred years old, was one of Anton Nilsson's regular hang outs. 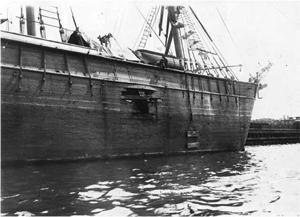 Archive photograph of the ship Amalthea leaving Malmö harbour after the incident in 1908.